The Lo-Pro™ carrier is designed to keep your body armor snug against the torso, making it ideal for those needing maximum armor concealment for undercover operations. This sleeveless T-shirt style carrier utilizes Spantron nylon knitted fabric for its outer and inner linings. 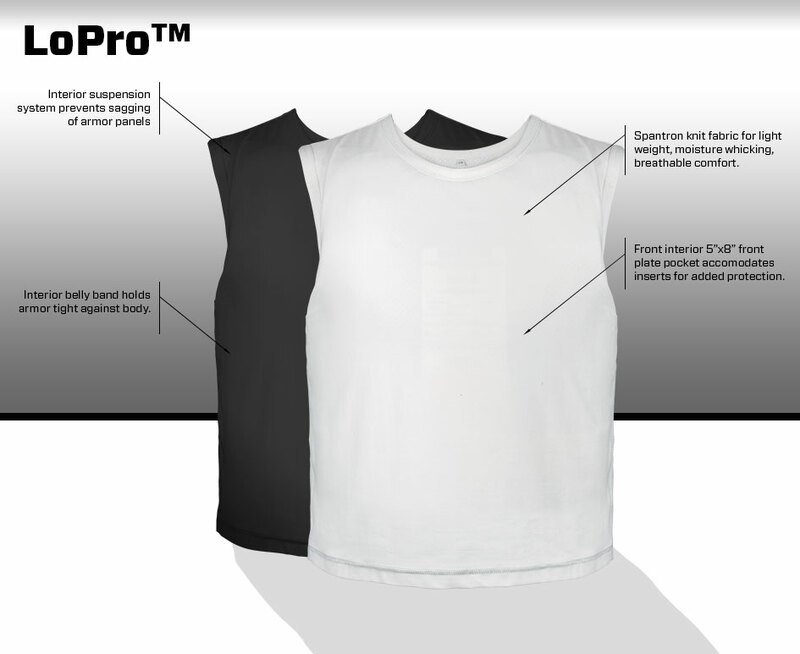 The Lo-Pro™ offers moisture management capability, providing lightweight breathable comfort while maintaining a near undetectable presence. The armor panels are secured within internal pockets which allow for overlapping side coverage. A front internal plate pocket can accommodate a 5”x8” insert for added protection.